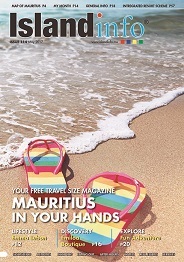 Food in Mauritius is a blend of French, Creole, Indian, Chinese and European cuisine. Giant fresh-water prawns, smoked marlin, venison and palm heart are amongst the island's superb specialities to name but a few. Many of the prestigious hotels on the island boasts world renowned chefs and it comes therefore as a little surprise that the buffets are more gourmet cuisine. With the bold and the new continually beckoning their attention you will find fine tuned fusion food second to none. Food courts have propped up in all the major commercial centers offering competitively priced Chinese, Indian or European fast food such as Pizza-Hut, Kentucky Fried Chicken or Debonair Pizza.There is even a Mc Donald's in Port-Louis Waterfront. Alternatively if you want to experience road side delights there are fresh Indian dholl puris and rotis, Chinese broths with steamed dumplings or famous biryanis.